So soon after the game last Saturday, we are back with another exciting hour for you all before Coventry City take on Accrington Stanley. Your free favourite activities will be there and we have a few extra ones too. This weekend also sees the club recognising Remembrance Day which is later in the month. We will have some special pictures for you to come along and colour in too. 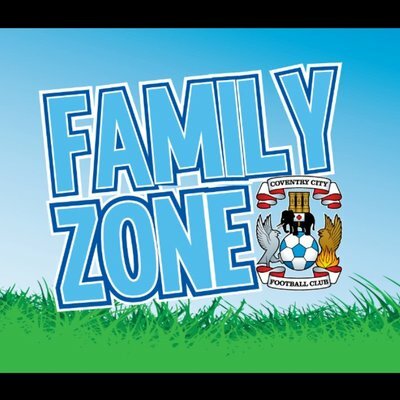 Although this is the only Saturday Family Zone in November, keep your eyes peeled for a special and different Family Zone on Friday November 23rd when Peterborough are our visitors. 2.10pm Dug Out Draw takes place. The Dug Out Draw, this season, is sponsored by Peek-a-Boutique and we send a big thank you to them. Hope to see lots of you there and of course, PUSB.